Luke is an experienced performance coach for professional and aspiring professional athletes, highly sought after for his ability to raise athletes’ performance to the highest level. He works with youth, amateur, and aspiring athletes to prepare them for the next step in their career. Luke’s sporting background is in baseball. He played at the collegiate level at Southeastern Community College for two years, where he served as team captain. He was then recruited to play at North Carolina Wesleyan College. After Leaving Wesleyan in pursuit of his Bachelors degree, Luke made the East Carolina Baseball Team as a walk-on and spent two years with the team. 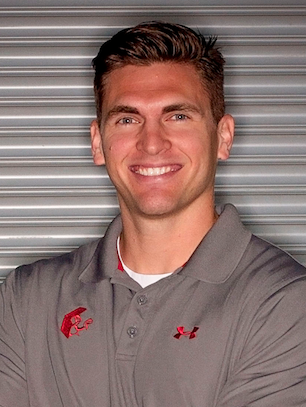 Luke’s education background includes a Bachelors degree in Health Fitness from East Carolina University as well as multiple training certifications from USA Weightlifting and NSCA. Before returning to Twelve Lions, Luke served as Assistant Performance Coach at the Performance Compound in Tampa, Florida—where he trained professional athletes from MLB, NFL, NHL, ATP, and USA Track and Field. Matt has headed the General Fitness Program at Twelve Lions for over two years. What began with a small group of guys and girls dedicated to getting fit, sweating every night to Matt’s custom-designed workouts and his “unique” taste in music, quickly outgrew his impressive garage gym and expanded to a 2000 square feet downtown location where he continues coaching with the same mission. Matt’s sporting background is in competitive swimming and club-level soccer. He played competitive soccer throughout high school, but then switched his focus to endurance sports, including swimming, cycling, and running. He has completed multiple 5k, 10k, half marathon, and marathon races. In April 2009, Matt completed the legendary Umstead 50—a 50-mile ultra-marathon trail run. Matt has also competed at multiple distances in triathlon, including a full Ironman race in November 2009.